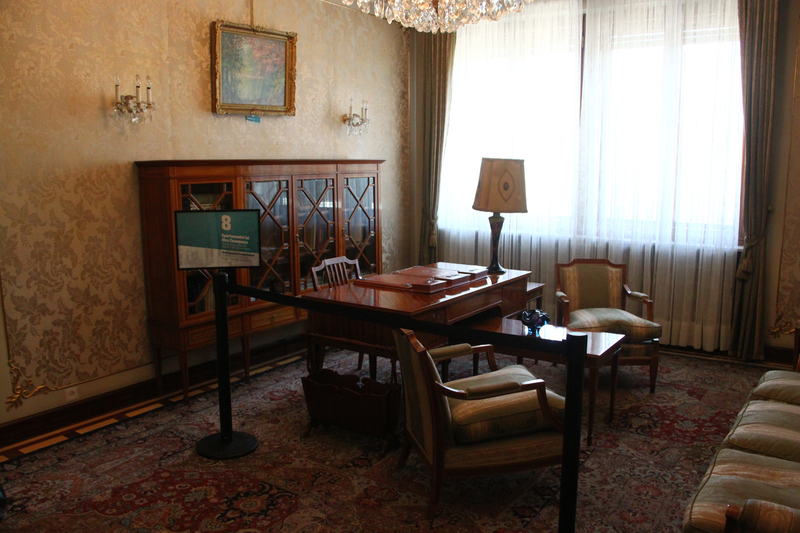 Less than a month ago, Palatul Primaverii – the Spring Palace – the official residence of the Ceausescu family, opened its doors to the public. This is now a public museum and I consider it to be a new must see landmark of Bucharest, capital of Romania. We went to visit it last Saturday and we loved what we saw. 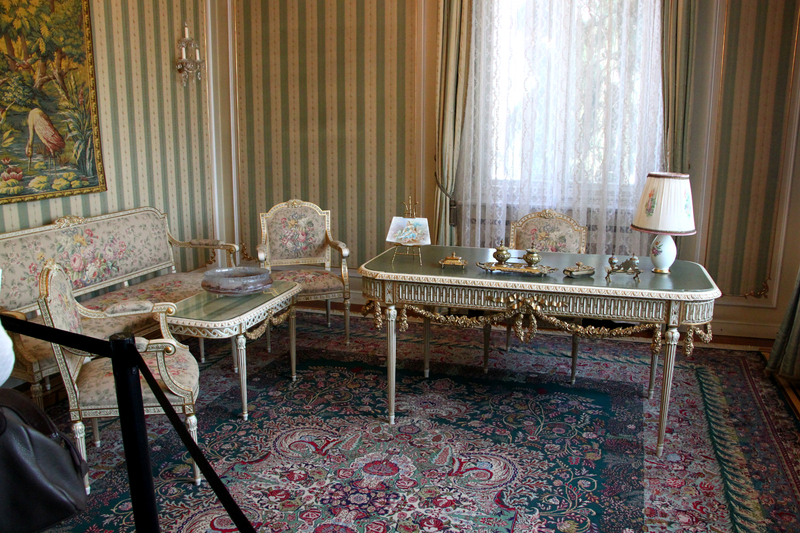 The palace is in great conditions, the tour provides interesting insights on the private life of the Ceausescu family, also about the residence, historical and political context, decorations, furniture, customs and more. It really was an enjoyable visit. And you get to see live peacocks. And see a secret door. He’s ruling was controversial and, as almost any period in time, had its good parts (construction of the subway, for instance) and bad ones. It was during Ceausescu’s time that the Palace of Parliament, the second largest building in the world after the Pentagon (and the largest civilian building) was built. He was executed, along with his wife, on Christmas, 1989. I won’t bore you with too many details though as, in the end, visiting the Spring Palace is not only for those who know Romanian history very well. The palace is actually a house build around 1965 – and expanded between 1970-1971. 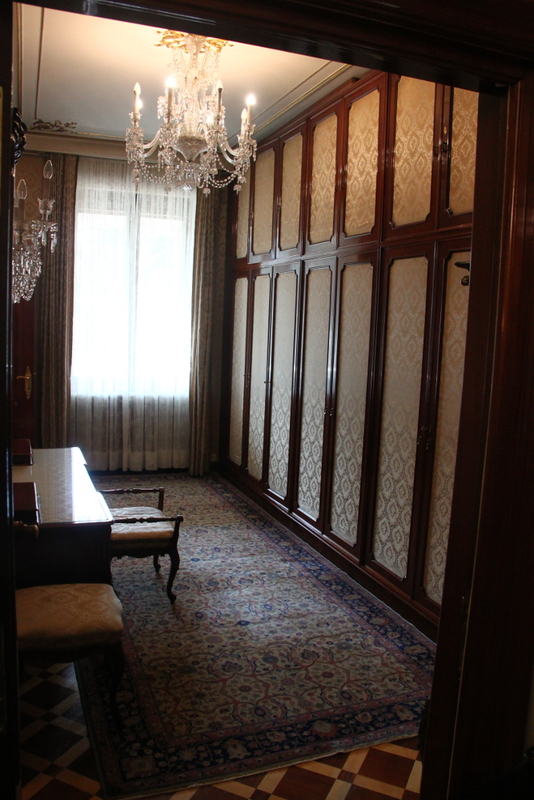 As you’ll easily see, the palace has a ground floor, the floor and a semi-basement. You’ll also see the winter and summer gardens, the pool and all the other rooms. 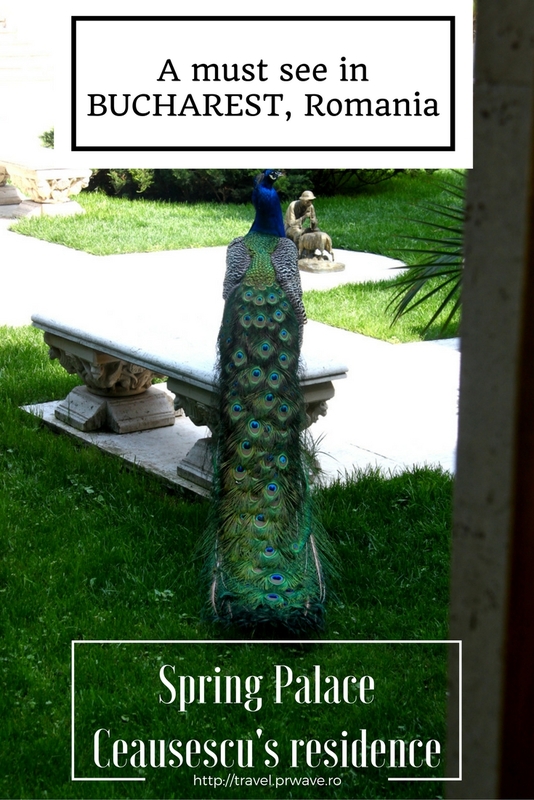 Why should you visit the Spring Palace? 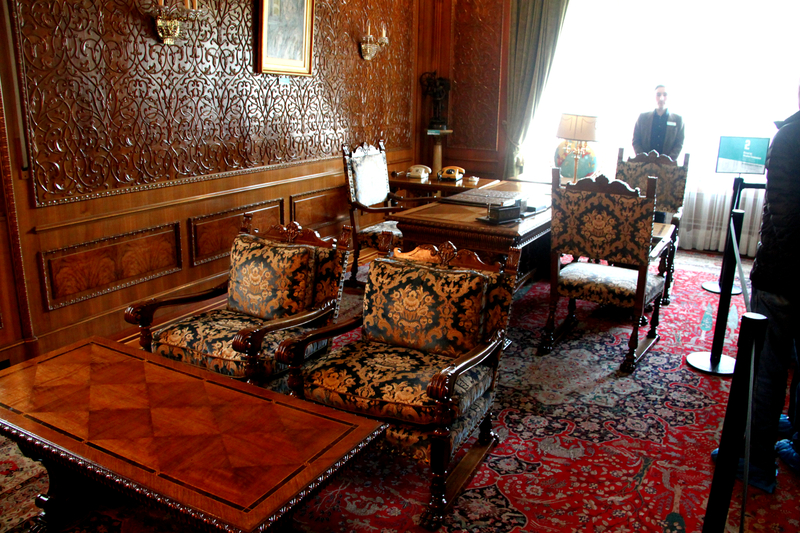 – it allows you to have a look at how a famous recent Romanian ruler – one that many people around the globe heard of – lived. 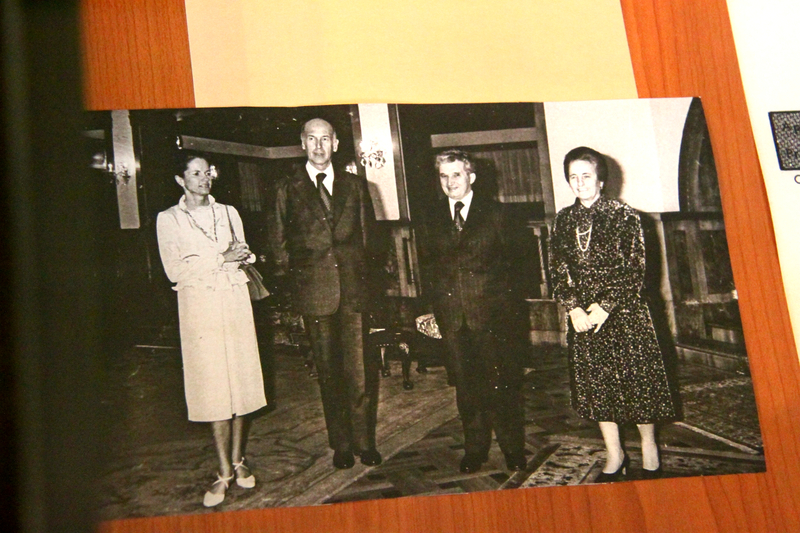 You might know the cruel Ceausescu – the one that everybody is talking about. But did you know that in the couple’s bedroom there was a separate couch for the two black golden retrievers the family owned to sleep in? And there was another sofa in a different part of the house. Yes, I didn’t know that and yes, it was an element that took me by surprise. Actually, during your visit, if you pay attention to the explanations, you’ll find out many interesting things. 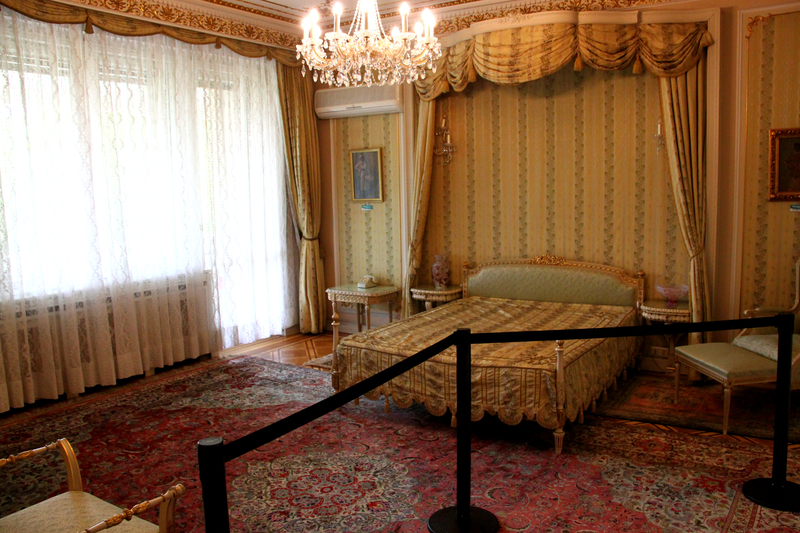 You’ll find out where Ceausescu saw a chandelier that he liked and then he got back in the country and had a factory produce many for the residence. And they are almost all different – actually I’ll have an article dedicated to them later on the blog. You’ll find out that he liked so much the terrace that Fidel Castro had and asked for a similar one to be included for his residence. You’ll find out that he fell in love with peacock while in Japan so he bought one. 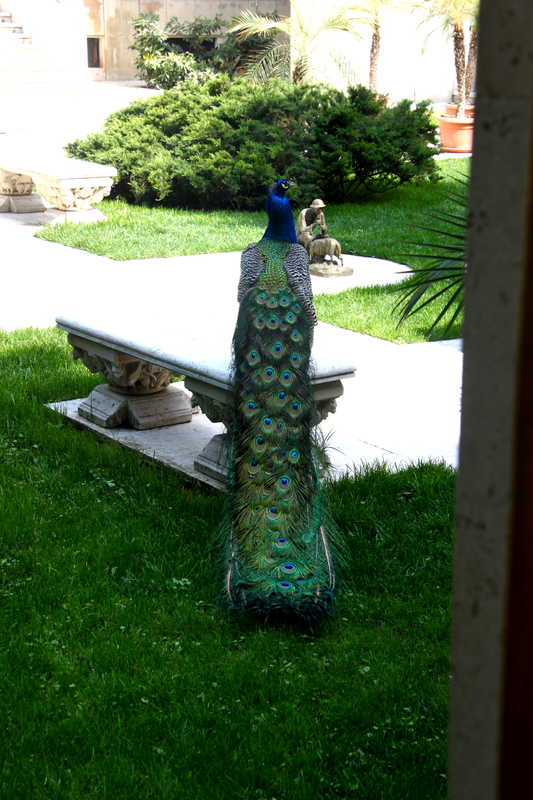 And yes, until this day, there are peacocks in the garden. And you’ll also see peacocks in mosaics for instance. You’ll find out that he liked… westerns and he used to see many in the cinema room. Like I said: plenty of interesting details to be discovered here. In order to be able to have an idea about what you’ll see, I tried to make a selection of the photos I took and present you some of the rooms and interesting elements. 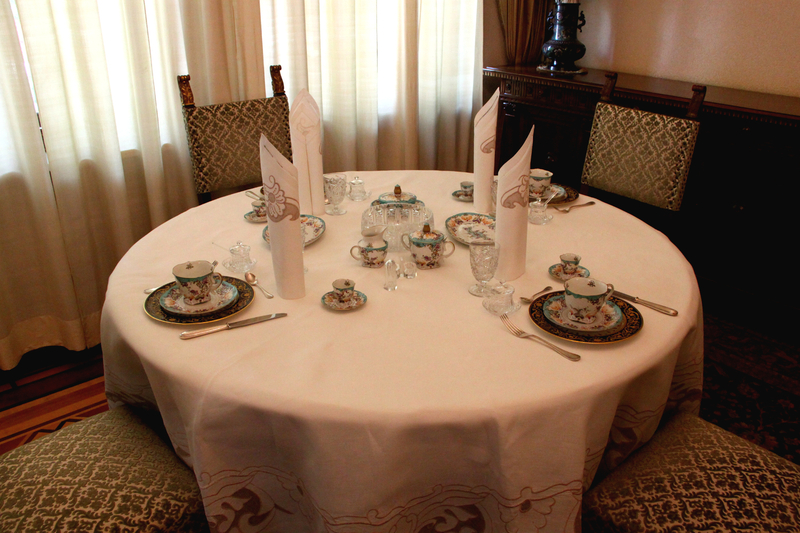 Not all of them though, as I want to leave you the pleasure of finding some of the house’s secrets by yourself. 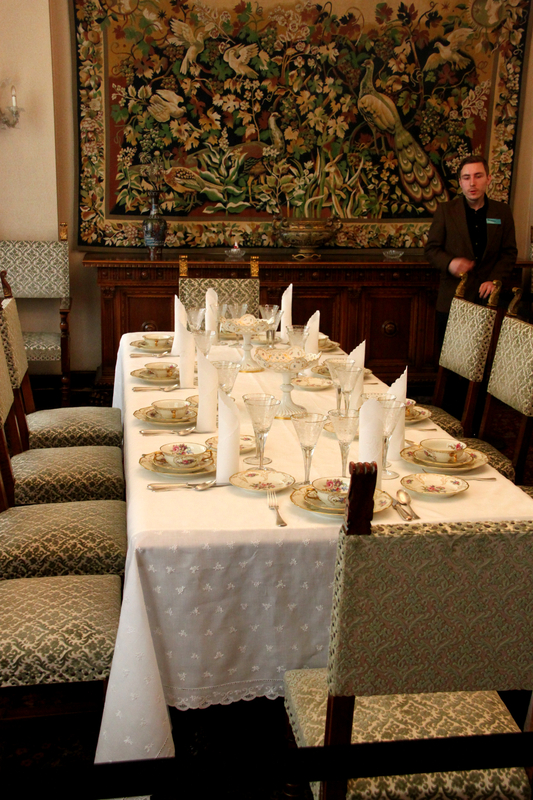 The Palace was aimed to impress – especially on the inside. Thus the decorations, materials used, and so on and so forth. 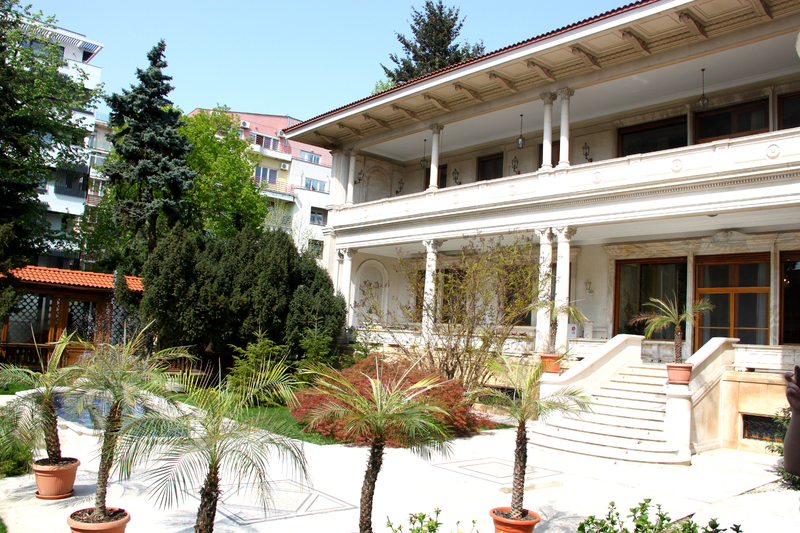 Palatul Primaverii – Spring Palace – is a luxurious residence, spacious, and yet comfortable. It may seem like too much for some, but in the end everyone makes their house as they please – like we all do. 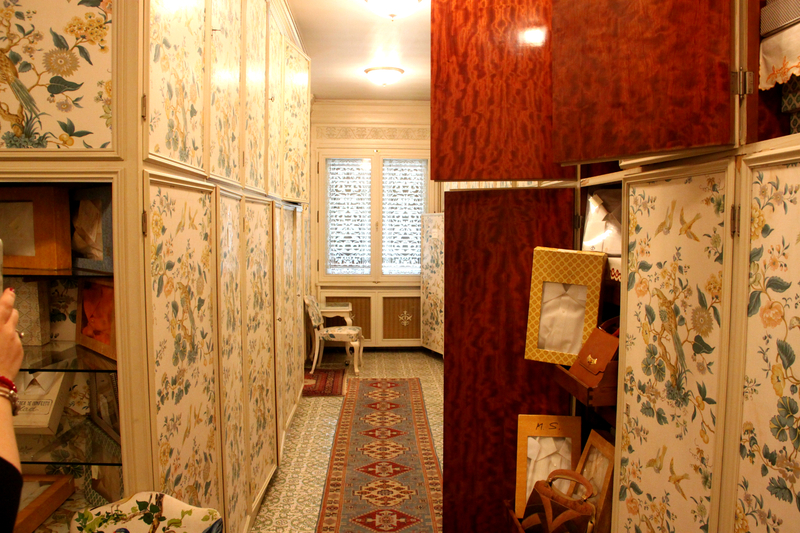 You’ll see mosaics from Iran; numerous objects used for decorations – some received as gifts, some bought –, wall coverings, wood paneling, marble, and more. 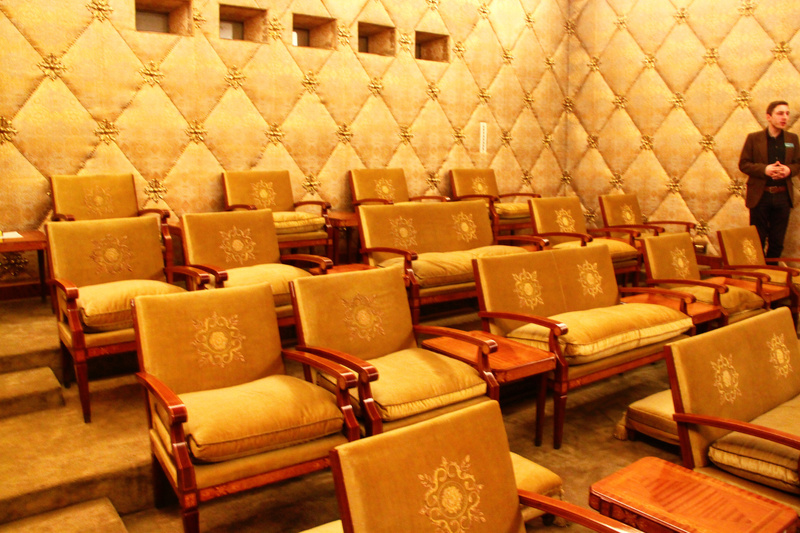 Primaverii (Spring) Palace, Ceausescu’s private residence – Cinema room – accommodates up to 20 persons. 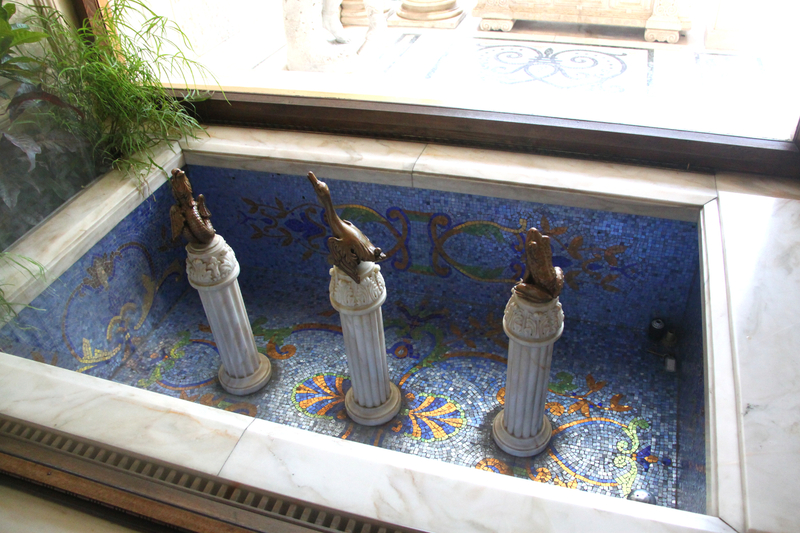 Primaverii (Spring) Palace, Ceausescu’s private residence – small fountains – there are numerous in the house! – it is highly recommended to make a reservation in advance: +40213180989 – the reservations’ page of the website is also in English. there is a buffet at the exit – so, if thirsty or hungry, you can grab a snack there. The downside: the official website is only in Romanian for the moment. For me, it was a chance to “see” Ceausescu from a different point of view. And I am happy I made this visit. It’s not about loving or hating the former ruler, it’s about visiting a palace as I would in any other city in the world. 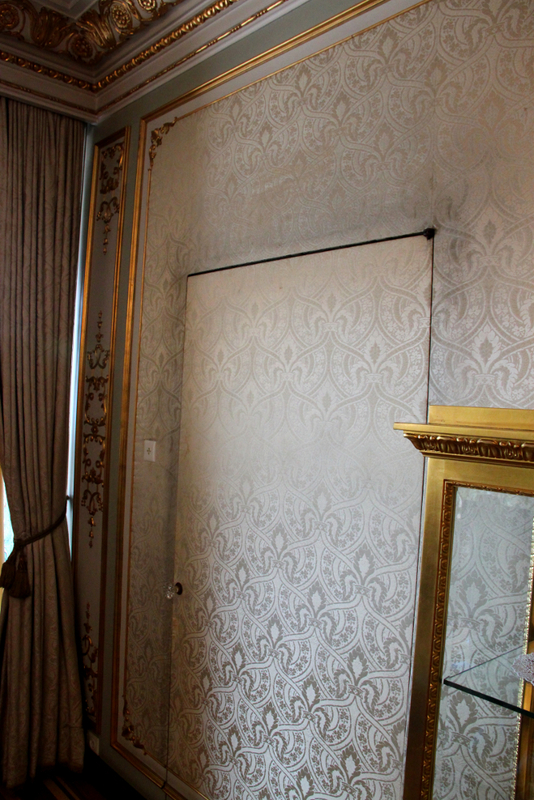 Frankly, with all the French furniture, I sometimes had the feeling I was at the Louvre, in the Bonaparte III apartments. Of course that there are different styles, but you get the idea. 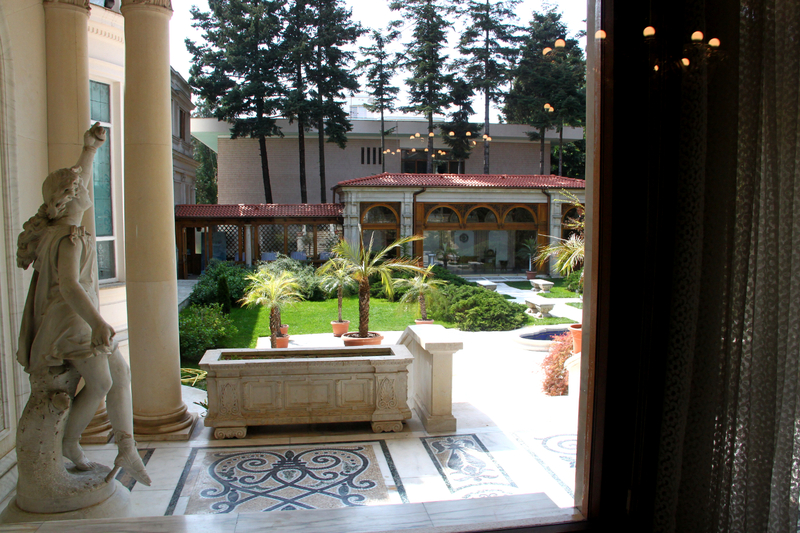 From the touristic point of view, I am happy to see that the Primaverii (Spring) Palace is opened to the public. I am sad it is so late, as I know many people interested in finding out more about the communist period and the communist rulers, especially about Ceausescu. 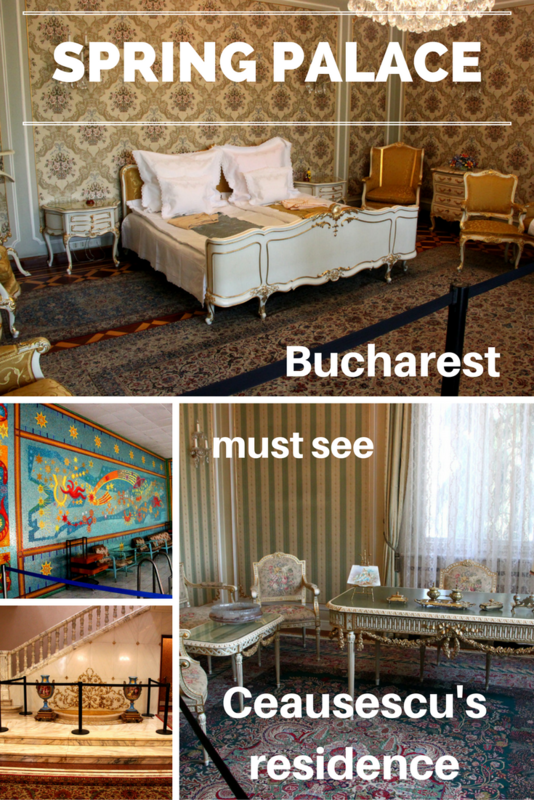 So yes, I am recommending this landmark in Bucharest – both for Romanians, and for foreigners. 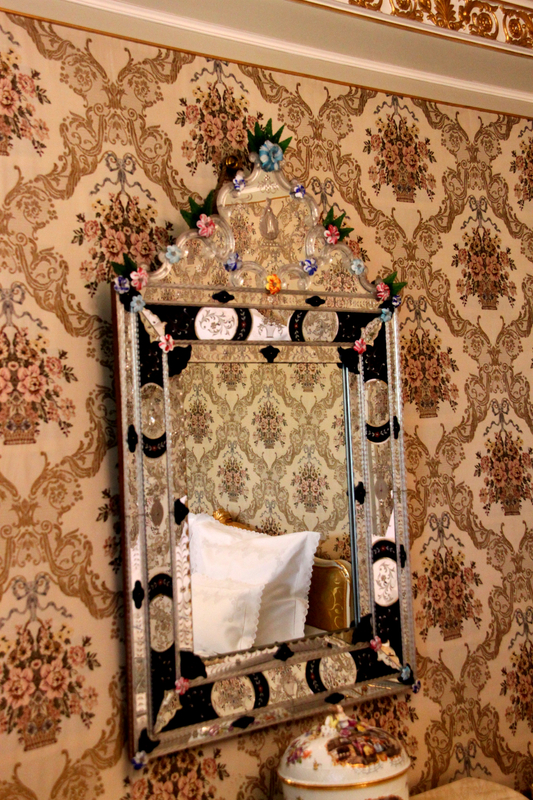 I have a dream to be able to stay in a real palace for some time. 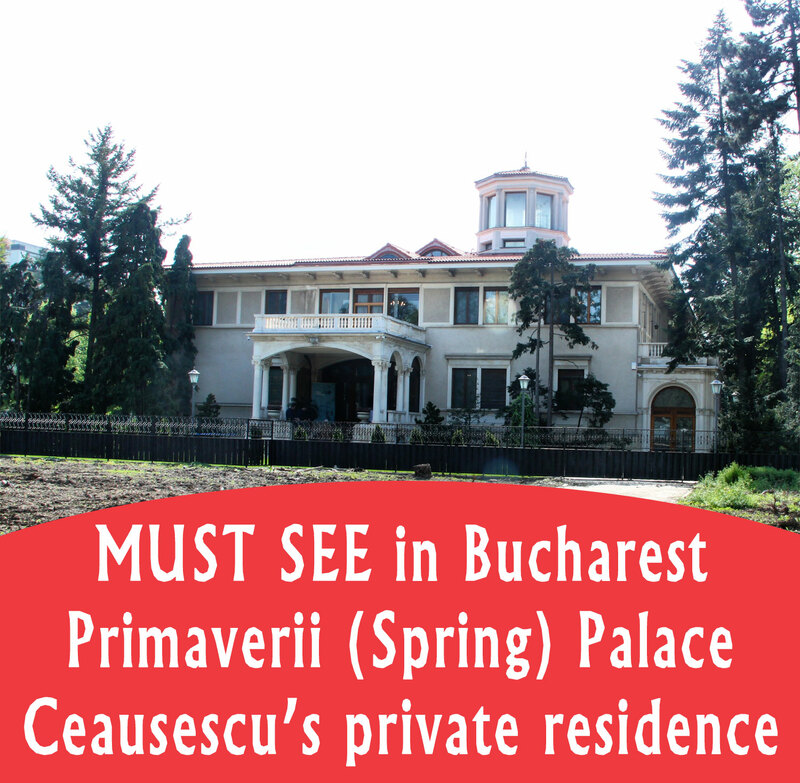 The Spring Palace looks very beautiful, I will definitely visit it when I come to Bucharest! Wow palace always takes me back tot he golden era of kingdoms, I would go back to that era, would you? For some reason, I’ve never visited this Palace, even if I lived in Bucharest for ten years. I wanted to, but somehow never got around to it. I should definitely change that, soon! 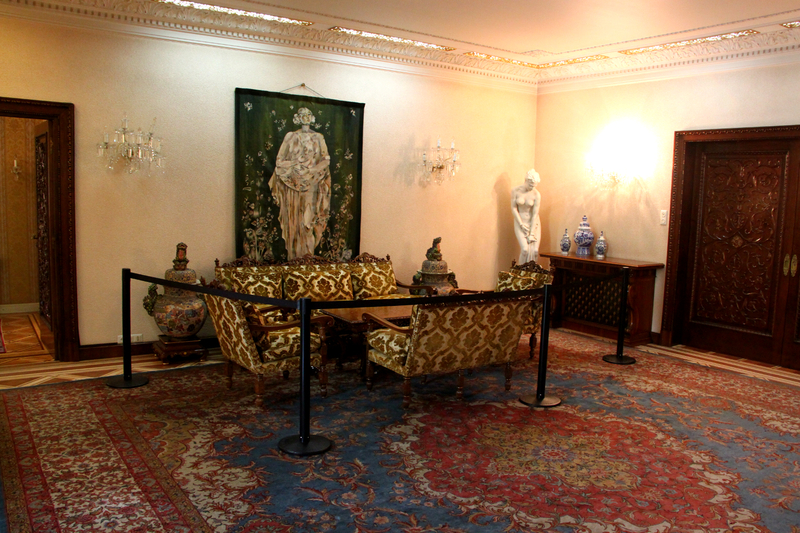 This reminds me of the reunification palace in Ho Chi Minh City! its awesome to be able to visit Palace to understand the history behind it! Wow, what an amazing place to visit! 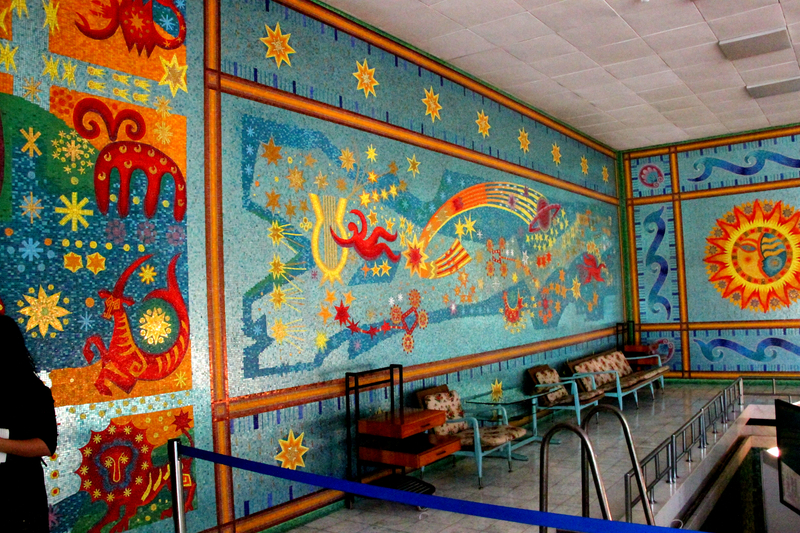 I love the murals in the pool room, very impressive. Thank you for sharing this beautiful spot. That peacock is GORGEOUS!!! What a cool place! Beautiful peacock! The interior, summer and winter gardens are amazing. Interesting read! Thanks for sharing. Looks like a beautiful and interesting place to visit. And I love peacocks 🙂 so it’s gets bonus points. Romania is not being promoted much as a tourist destination but your post has shown us that Romania is one of the more interesting places to go to in Europe. This is interesting as it shows how one of the more controversial figures in Romanian history lived. Thanks for sharing. It’s not only historic, but also interesting to explore for entertainment reasons. Adding it to my bucket list, for sure! Living in Europe for the past 5 years, I’d be lying if I said I wasn’t pretty “palaced” out. I feel like most of them are beautiful, but all similar. I wonder if because of the communist past if this one would have more of a different “feel” to it? Damn! 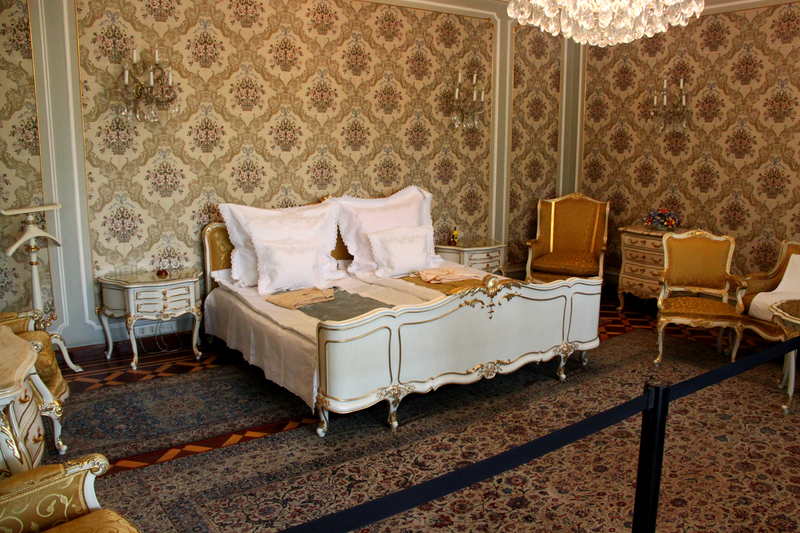 Just look at those bedrooms – so plush and comfy! I think I’d never get out of bed if I had one of those back home! Love the history on this place too. Great read! 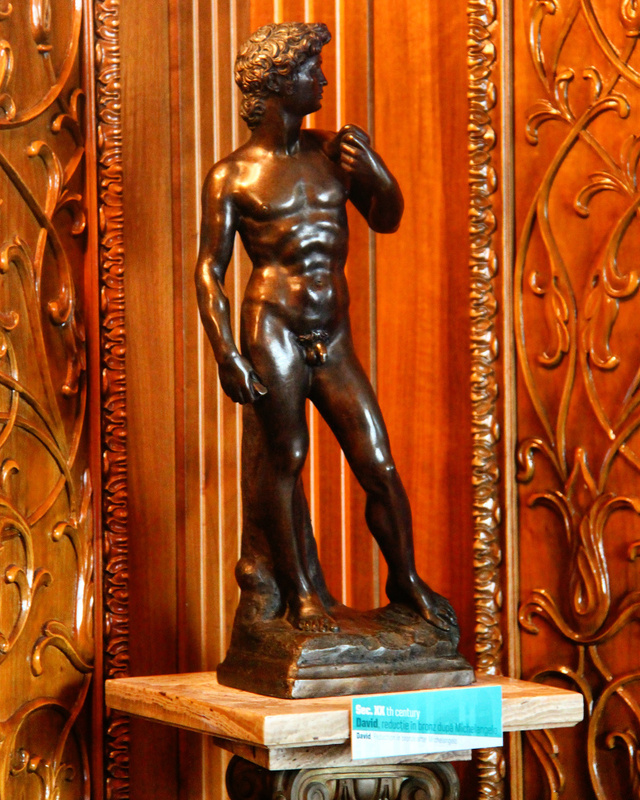 Very nice story of the Palatul Primaverii. Good to know that, and I think it would be such a great idea to visit Romania! This seems like such a cool place to visit, especially side it’s not too expensive. This reminds me a lot of Hertz castle in California! 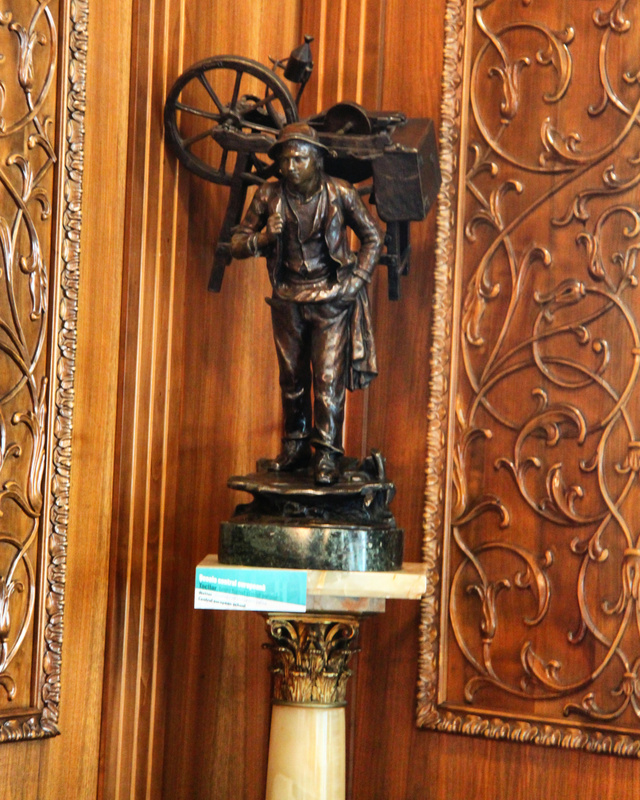 The man who lived there loved to take parts of different cultures he likes and incorporated them into his house. I would love to see those peacocks! Still haven’t seen one in real life, but I imagine they are breathtaking! I just heard about this opening!! I’m such a history buff with a special interest in exploring old homes and castles. Gives such insight of a particular time. Your photos are beautiful! Super unique place! I love it. 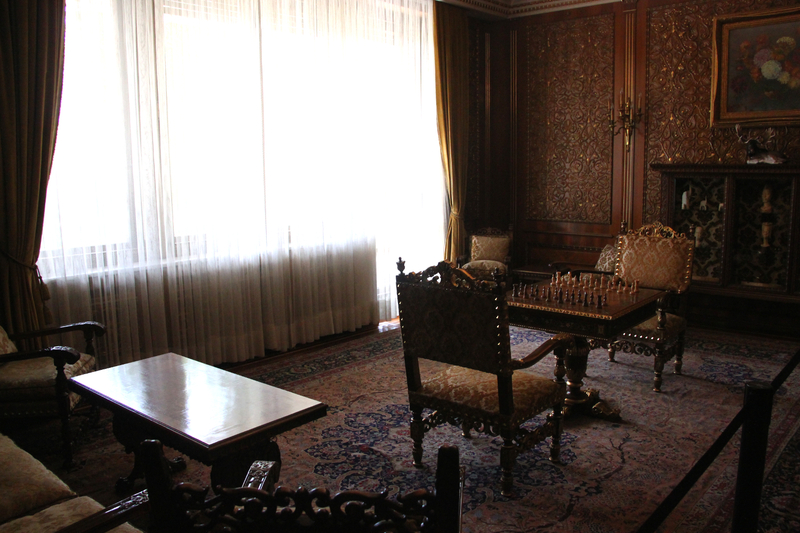 It does sound like the perfect spot for history lovers and to get a glimpse inside of how things were in the past. Looks like it would be an interesting place to visit indeed. The place is full of history. If only the walls could talk. I would love to visit this kind of place. 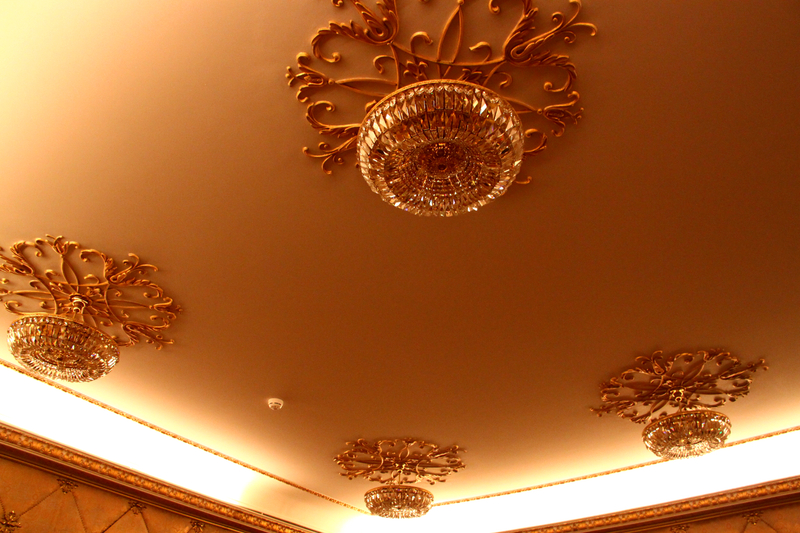 The ambiance feels too royal and elegant. I wonder how many people maintain the entire area. 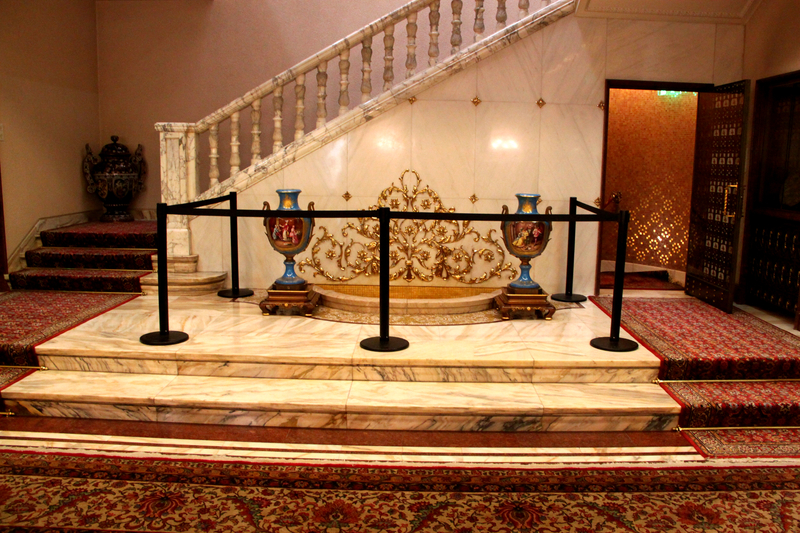 The palace is very well taken care of, it’s so evident in the pictures. 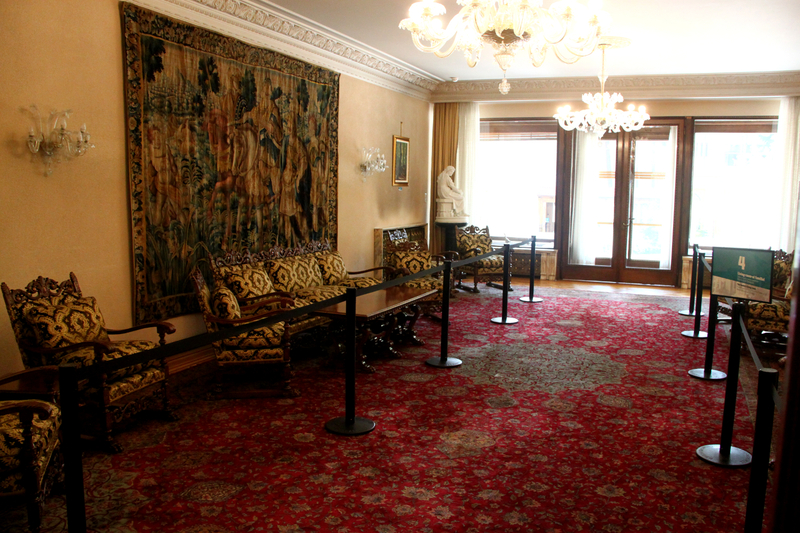 It’s always nice to tour palaces, they are just really stunning and breathtaking! What an experience this must have been for you! Ahhh. Romania… Good to know some of its history. I like the vintage style, if that’s what you call it. Lovely! The appeal & beauty of a palace come from the fact that it is a palace and how it used to be a private residence so everyone is just intrigued at how it looks like inside and what kinds of things are in there. 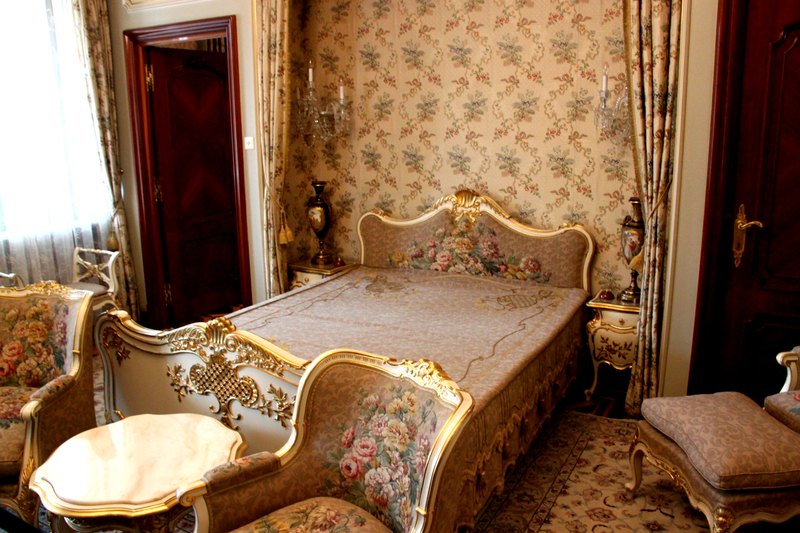 I love the interiors and all the intricate details on the rooms, fabrics, linens. I would want to visit myself. Wow, very cool, looks like such a unique space and loved the photos! I always enjoy seeing historical architecture while traveling, not just for the design inspiration, but also for a bit of culture + history. 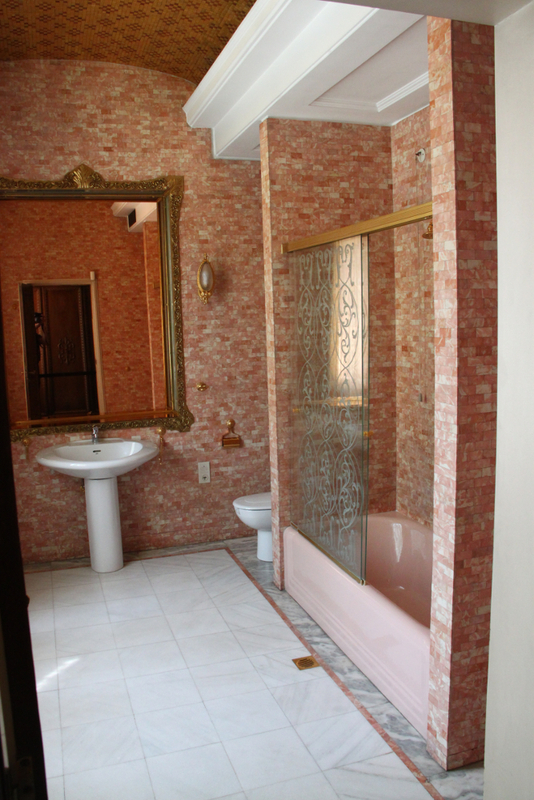 That gold bathroom though…. As a history buff, I love visiting sights like this. I really need to brush up on my eastern European history, though. 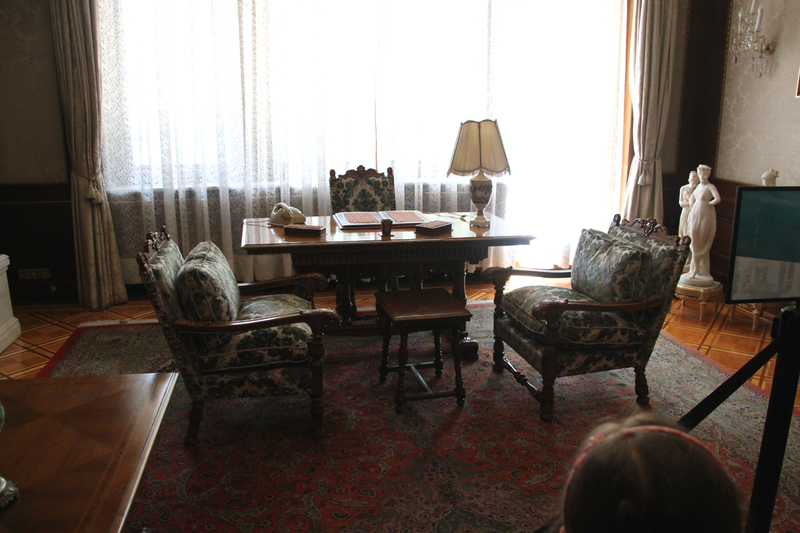 The architecture and historical tidbits like the couch for his dogs are so interesting. Details like this really give us a glimpse of the person behind the persona. 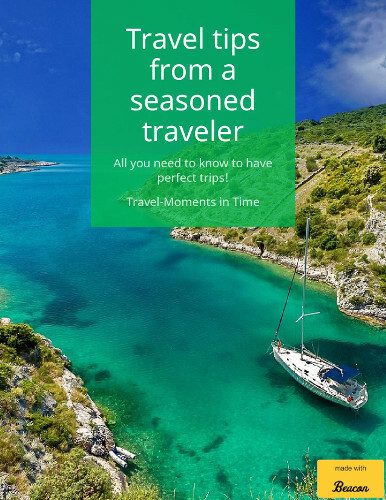 Will definitely keep this on my radar for my next trip to eastern Europe. Whoa! What can I say? 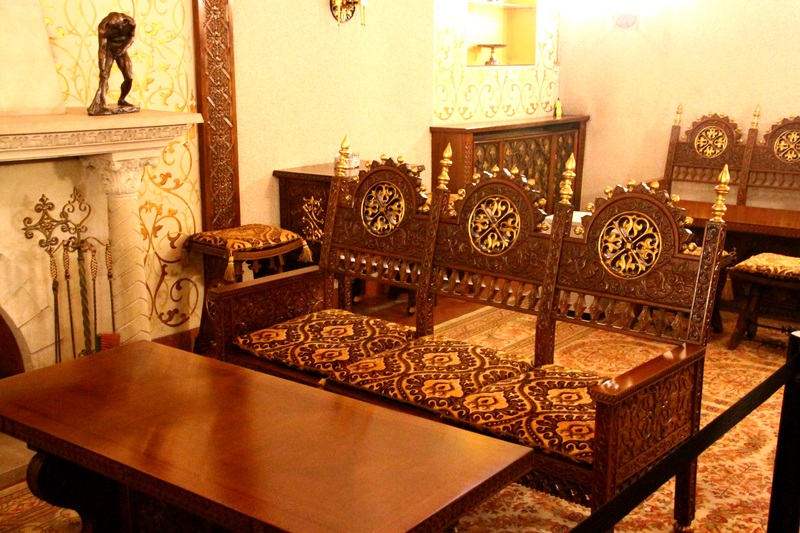 Every inch of this palace shows the intricate beauty of the place. Every photo makes me want to go there, especially that I love history and traveling. It’s good that this historical structure is well-maintained. It gives us a glimpse of the past. I really want to visit Romania and other Eastern European countries. I hope that, eventually, I’d be able to go there. Wow such history. I am imagining how it all was during that period. Everything looks so lavish and nice. I really like the inside look you’ve shared! I love visiting this kind of places.Lucky for you. I hope I can visit Bucharest! Now if I ever visit, this would most certainly be on my list. I love visiting places that have a rich history and this one surely does. The museum is beautiful! Nicely chosen ! 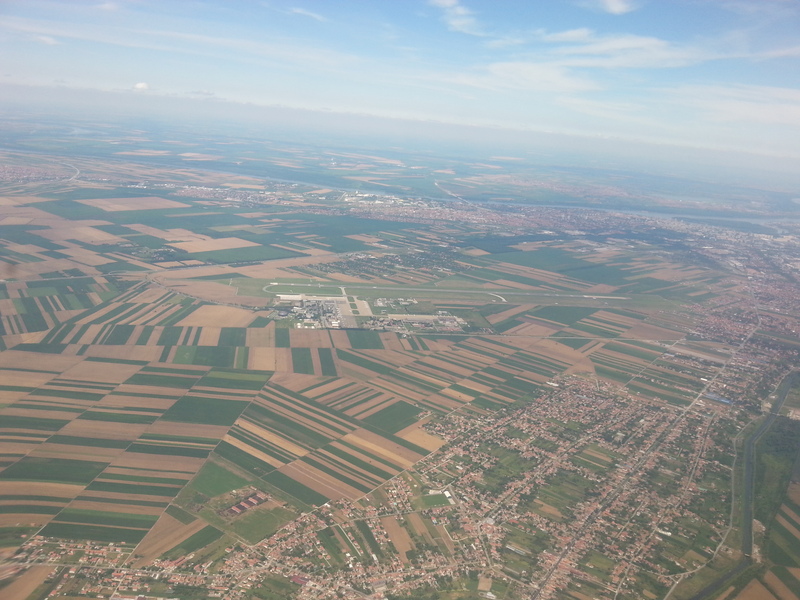 However I have been travelling to Bucharest too two years ago and I must say it is not a place I do like a lot. Interesting experiences in any case! I love your posts because you always include an introduction to the place’s history! It’s always nice knowing a little about it other than just seeing photos of it. I love this — the wallpapers are magnificent! Everything screams elegance and art in its own uniqueness. The palace is so incredible and ornate! These photographs capture the interior so well. Also the inclusion of useful information section is really helpful and a good addition the post. The interior of the spring palace looks really elegant. It’s definitely a must visit place in Bucharest. I wonder if I can ever get to visit Bucharest with my wife. Of course I only know about how to travel there from Asia. There is so much history in your pictures II want to visit Myanmar though. What a palace! I would love to come home to that place haha! 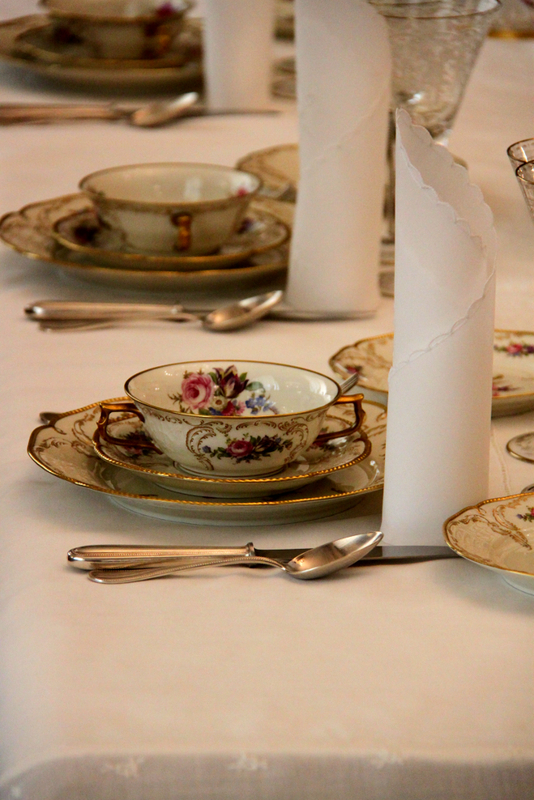 I loved the details on the China, and the cinema room! What a cool place to visit. Wouldn’t it be nice to live like this! Adding this to my list of places to see when I finally visit Bucharest! 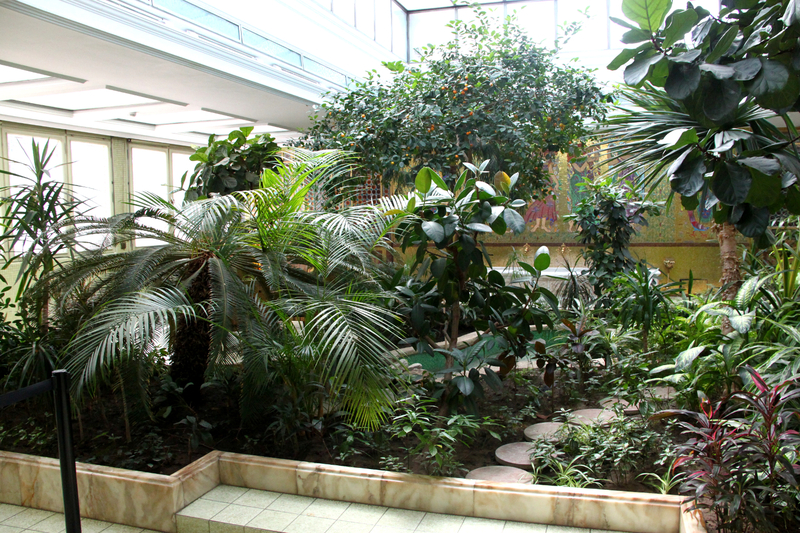 I really like an interior garden, I’m always fascinated in hidden courtyards, not visible from the street and not accessible for everyone. 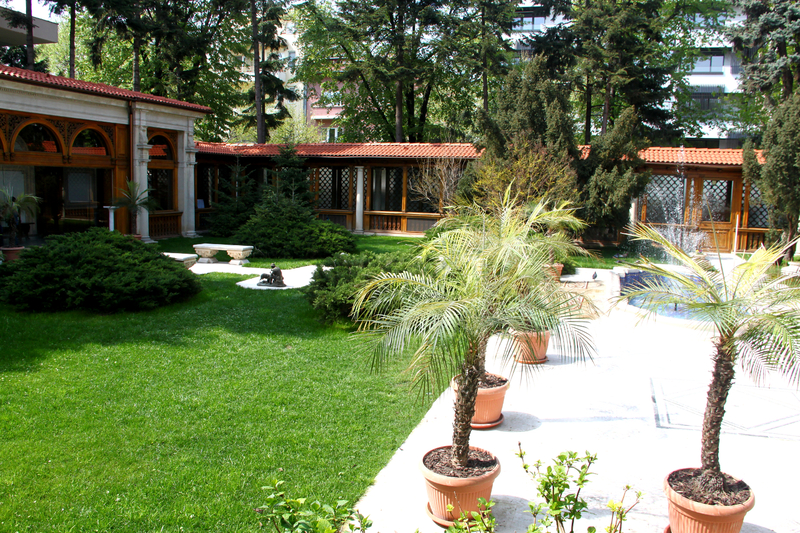 Gardens like this are an oase of green, tranquility and silence in the middle of the city. Talking about furniture and decorations, it’s not a style that I like to be honest, for me there is too much of everything, but I appreciate its historical value. Wow this is so historical and classic. I wish that one day I am able to visit Bucharest. What a dream residence! It is well-maintained. Good that they allow visitors. Will surely visit it if I happen to visit Bucharest. 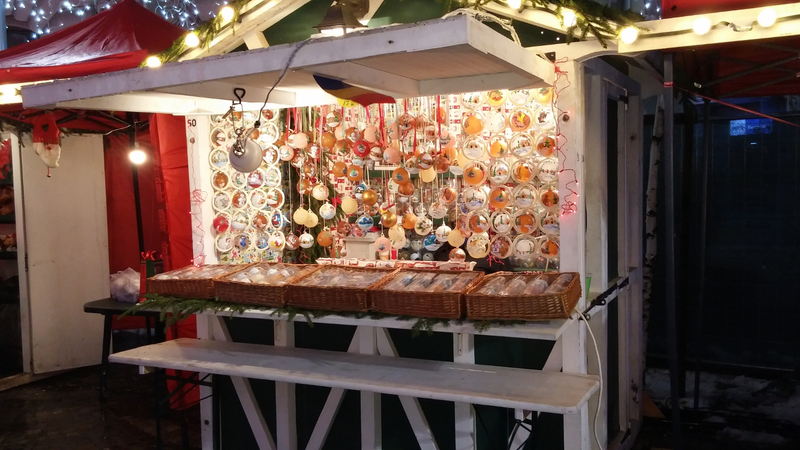 Every little corner was seriously decorated. From the beautiful wall paper panels from floor to ceiling to the instricate carvings and chandeliers, plus the peacocks! OMG the peacocks are just too pretty. 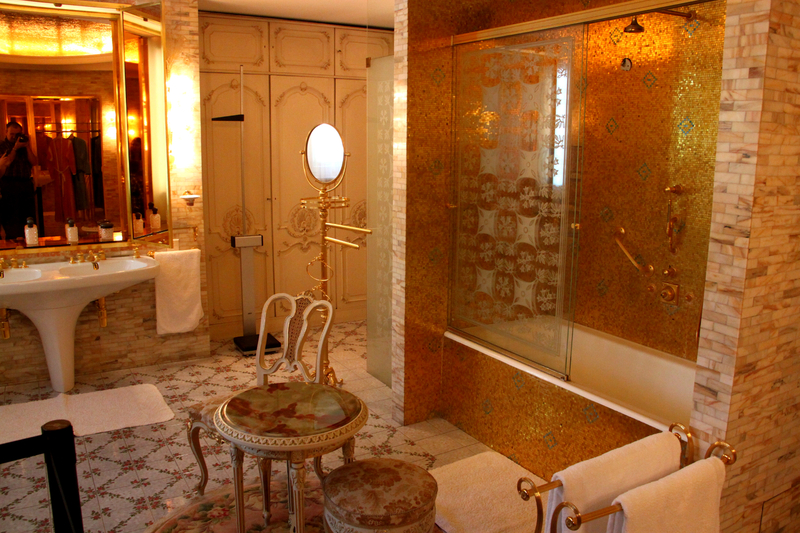 A city of innovation and artistry; Bucharest elegantly displays such through the masterpiece of thie Primaverii palace. I crave to explore it soon in order to feel, see and merry in the awesome effects of this special landmark. What a fancy place and photo worthy place!!! Will visit this if I had the chance, for sure. Thanks for sharing your experience, Lori! Being able to see your pictures let me warp back in time where families have luxurious castles and houses. I am dreaming of visiting this place in the future. It has even been endorsed by a few celebrities here in the UK too because Mica Paris, the well-known soul singer, has become recommending these Eco Slim once they helped her drop two dress sizes. ” Your body stores fat to use for later because somehow, your mind and the body need to be fed. Not only is ephedra a potent thermogenic, however it is also well-known as a powerful appetite killer. Reduce the carbohydrates, reduced your insulin as well as you will begin to consume much less calories automatically as well as without Forskolin. I was very pleased to seek out this web-site.I wished to thanks in your time for this wonderful learn!! I positively enjoying each little bit of it and I have you bookmarked to take a look at new stuff you weblog post. After examine just a few of the weblog posts on your web site now, and I truly like your manner of blogging. I bookmarked it to my bookmark web site list and will probably be checking again soon. Pls check out my website online as effectively and let me know what you think. I was more than happy to find this net-site.I wished to thanks in your time for this excellent learn!! I positively enjoying each little little bit of it and I’ve you bookmarked to take a look at new stuff you weblog post. Can I just say what a aid to search out someone who truly knows what theyre speaking about on the internet. You definitely know how you can bring a problem to light and make it important. Extra folks have to learn this and perceive this aspect of the story. I cant believe youre no more common because you positively have the gift. A formidable share, I simply given this onto a colleague who was doing a bit analysis on this. And he actually bought me breakfast as a result of I found it for him.. smile. So let me reword that: Thnx for the treat! But yeah Thnkx for spending the time to debate this, I feel strongly about it and love reading extra on this topic. If doable, as you grow to be expertise, would you thoughts updating your blog with extra particulars? It’s extremely helpful for me. Massive thumb up for this weblog publish! After study a few of the blog posts in your website now, and I truly like your approach of blogging. I bookmarked it to my bookmark website checklist and might be checking back soon. Pls try my site as well and let me know what you think. This web site can be a stroll-by for all of the information you wanted about this and didn’t know who to ask. Glimpse here, and also you’ll positively uncover it. The next time I learn a blog, I hope that it doesnt disappoint me as much as this one. I imply, I do know it was my option to read, however I really thought youd have something interesting to say. All I hear is a bunch of whining about one thing that you would fix in case you werent too busy searching for attention.